There are many web hosting services with numerous capabilities.However, if you are looking for a service to start an online store, then your options are a bit limited. Not all web hosting services enable you to create an online store, so it is best to review the options available and to choose the one that best suits your needs. 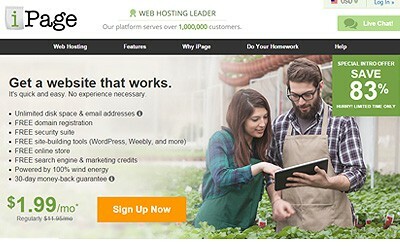 iPage is recognized as one of the most cost-effective web hosting services on the web. It provides the tools that you need to set up your online store. Here is what you need to know about iPage’s online store option. The tools that you receive with iPage enable the easy creation of your store. Two of the most important features available are a dedicated IP address and a SSL Certificate. Unlike a shared IP address that enables other websites to use the same IP, the dedicated IP is used solely for your website. Moreover, a dedicated IP is fully compatible with an SSL certificate. An SSL stands for Secure Sockets Layer and it essentially means that your store’s online payments are completely secure. As your customers make a purchase, information such as credit card details and personal data is encrypted as it travels from their computer to your server. 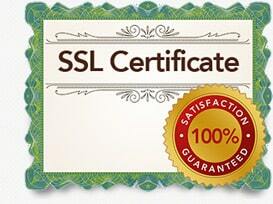 Together, the dedicated IP and SSL certificate provide your buyer’s with optimal security. 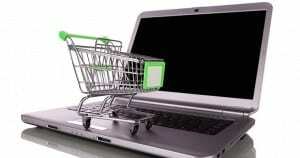 The shopping cart is another feature that you can use when creating an online store with iPage. The cart enables your customers to collect their items and check out or they can save the items to the cart for later. Either way, the cart makes it simple to handle transactions and it directs customers to the payment gateway when they are ready. iPage offers multiple shopping cart options so you can find one that works for you and your online store. Another feature that iPage is compatible with is the payment gateway. For the most part, iPage makes it easy for you to set up your payment gateway. As a reminder, when you choose a payment gateway, the prime objective should be to find one that is going to make your customers feel safe and secure. By focusing on safety and security, you will be able to increase your conversions from prospects into paying customers. Overall, iPage offers you the tools that you need to create a small business e-commerce website. On the other hand, it is also important to keep in mind that if you have a large-scale store, then you may want to look into other options.